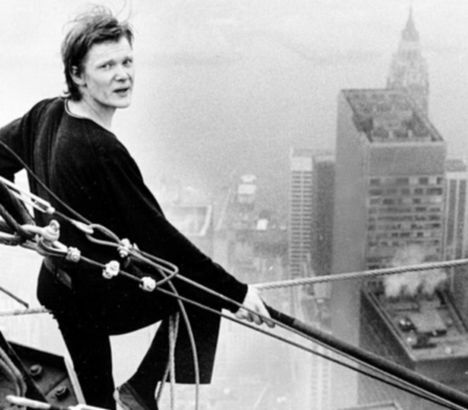 Bob Zemeckis must have been as fascinated as many of us were watching Man on Wire, the 2008 Academy Award winning James Marsh documentary based on Phillipe Petit's memoir To Reach the Clouds. 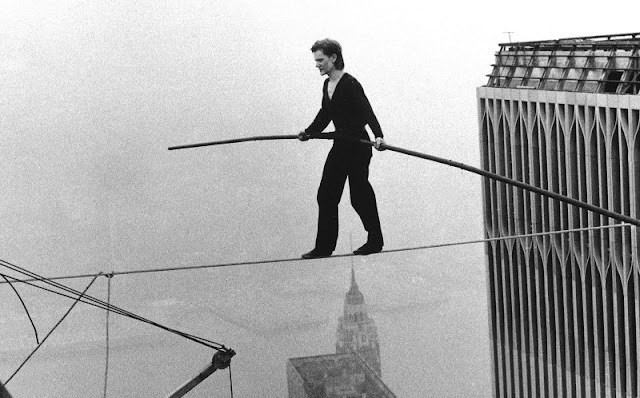 The book and the doc recount in thrilling detail the meticulous planning, training and years of preparation that went into Petit's walk between the two World Trade centers back in 1974. It was the daredevil crime of the century. Petit was 24 years old and had been captivated by the idea of walking between the two buildings when he first read about their construction when he was just sixteen. He would come to walk atop Notre Dame and the famous Sydney Harbor bridge, but he couldn't get the idea of walking between the two twin towers out of his head. It's a feat no one else has ever achieved, and after 9—11, no one else ever could. It's absolutely riveting. The details as engrossing as any crime procedural. The physical risk of the act, so unbelievably high already, intensified because the walk, in fact, was a crime. It's a gripping film about a fantastic human story. 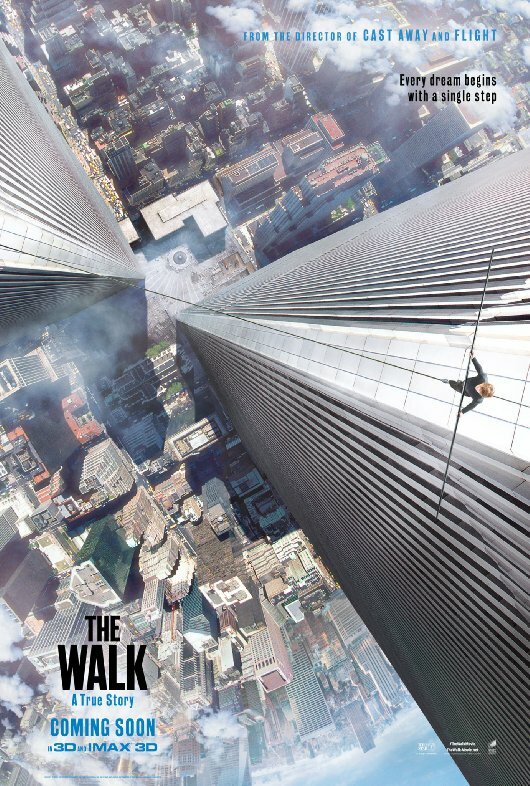 I'm assuming the story got stuck in director Robert Zemeckis' head and wouldn't let go. Why else make another version of the story less than ten years later? Perhaps he found Petit's story so awe-inspiring and mesmerizing he thought it deserved a wider audience than a documentary—even an Academy Award documentary—usually gets. Zemeckis' version has Joseph Gordon-Levitt walking the wire in Petit's place. 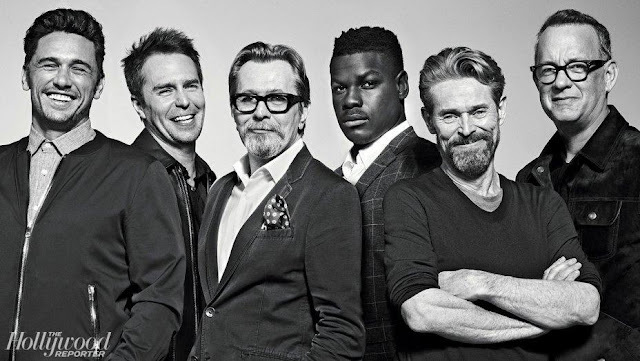 My first thought is while he makes a passable Frenchman, and takes the role seriously, the rest of the guys in the trailer—outside of Ben Kingsley—look a bit, how do you say 'hammy'. 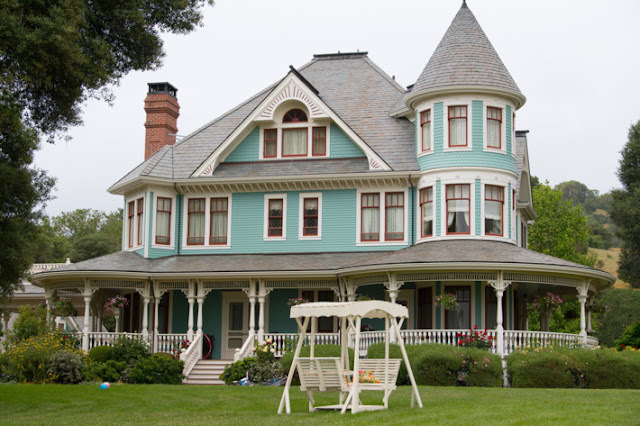 Like Zemeckis can't resist making a joke out of some of the material. As I think of the death defying act, there's nothing funny about it. There are no laughs except perhaps for the laugh of relief you feel when things that can go so terribly wrong, don't. The Walk stars Joseph Gordon-Levitt, Ben Kingsley, Charlotte Le Bon and James Badge Dale and comes out this fall. My advice, watch the documentary now. There's no green screen technology here. 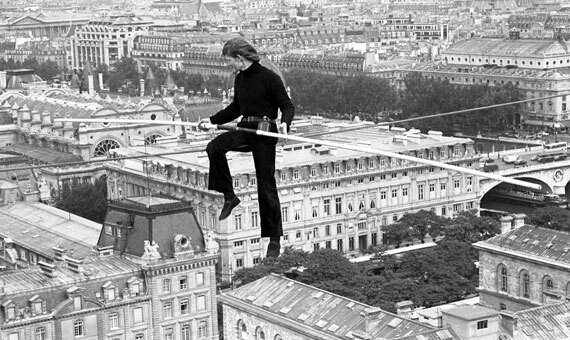 Man on Wire is the real deal. It's available on Amazon, Google-Play and VUDU, then, see the movie when it comes out in theaters on October 2 in the US. 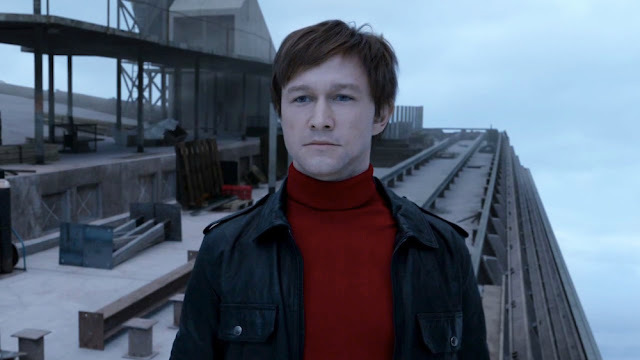 Joseph Gordon-Levitt stars as Petit. Levitt is an actor, while Petit, only Petit is Petit. Incroyable! Dreaming of France is a weekly meme at An Accidental Blog where you can share your passion for France. It's an incredible story; I think Earl and your kids would enjoy it too. Seeing how this guy worked toward his dream is pretty inspiring. I loved the documentary & I agree with you that one should see that one first. But I will probably want to see the dramatization too. It was fantastic, wasn't it? And with a popular young actor like JosephGordon-levitt a lot of people will want to see it. I also think the feature film will draw more people to the original documentary, like a movie based on a book increases readership of the book. I definitely want to see these. I am fascinated with the story of this man who planned and dared to do something almost no one else could plan or would dare. Here's my Dreaming of France post. Can you imagine being his friend? The dilemma of not knowing how much to help, wondering if you were enabling his death! I hadn't heard about this movie, but it might be a good one to take the boys to. Although I suspect I will be viewing a lot of it from behind my hands!! Yes, it looks a little frightening, certainly if you are at all afraid of heights. Thanks for explaining the two movies. I have been confused, but not curious enough to sort it out. 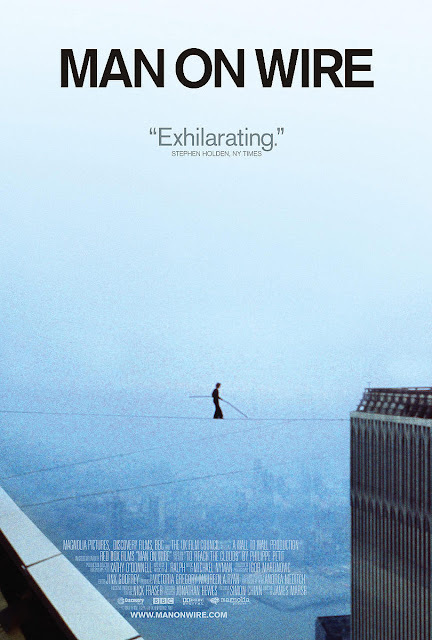 I'm pretty sure that I saw Man on Wire at some stage- and there's a kids picture book too that I've read. Such a fascinating person; a true daredevil but one who took the planning of his stunts very seriously.